Superb biography of Willam Shakespeare, 1564-1616. 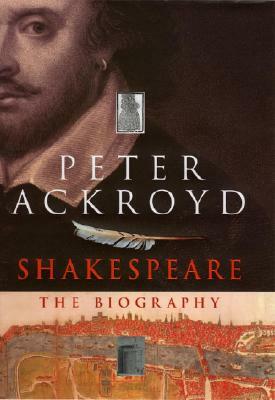 ``Only Peter Ackroyd can combine readable narrative and unique observation with a sharp eye for the fascinating fact.` xiii, 546 p.,  p. of plates : col. ill. ; 24 cm. This copy is às new`, in a similar, unclipped dustjacket. Weight, 880g.